The shift from demand for IT contractors to demand for direct-hire employees generally signals an accelerating economy. When things are bad, companies hire more contract personnel as it requires less long term financial commitment. When the economy starts to improve, purse strings loosen and businesses start hiring more internal employees who can be with them through their immediate project needs, then support and maintain systems once they have been implemented. Right now we’re in one of those swings to direct-hire. Over the past couple of years, we at MACRO.CCS have noticed a large push for internal IT employees and away from contractors. The rationale makes sense – contractors cost a premium. If you bring someone in-house, you can typically save money in the long run, as well as have someone there who knows your system intimately, to support it. So what’s a contractor to do? For those that appreciate this shift and are looking to move out of the contracting realm this is probably great news. But there are some hurdles you’ll have to overcome to get yourself into these direct-hire positions. Most significant to your quest: Your background as a contractor. Contracting can be great – it pays more and offers new challenges and experiences. You won’t find yourself stuck with older technologies because your organization can’t afford (or can’t decide) to upgrade. If you need three months off to travel, you just schedule it for the end of your contract. And if you find the company’s culture is not a great fit, you know you’ll only be there for a short time. But your appreciation of all this makes employers nervous to bring you on as a permanent employee. The worries? You want the job only because it’s a job. Once something better comes along, that pays more or employs a new great technology, you’ll be gone. There goes their investment in you, there goes your corporate knowledge, and even worse, they’re back to hiring again – often an expensive proposition for a company. Are you REALLY ready to take a large pay cut for this opportunity? Many specialized contractors make upwards of $100-$120/hr, while permanent salaries for the same positions rarely top $140k. That’s a huge cut. Not to say there aren’t benefits to perm work you can’t get in contracting, like upward mobility, less travel, stability, benefits, vacation time, and some consistency to your resume (if you stick around long enough!) that makes you all the more valuable and marketable in your next position. If this is really what you want, you’ll need to determine the best way to present yourself – to build confidence from your potential employer that you are serious about this move and in it for the long haul. Not just a year or two – but a good 3+ years. 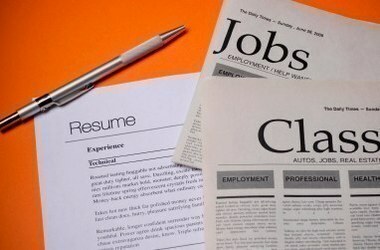 Put your objective clearly on your resume, so it is the first thing potential employers see. Include a brief explanation of why you want to make this move to direct hire, and be prepared to elaborate on it in an interview if requested. Couple contracts for the same company under one heading, so employers can easily see the total amount of time you spent at that firm (and that you were valuable enough to bring back). Work with the right partner that can help you get your foot in the door and vouch for your interest in a change towards direct-hire. And for those that want to stay in contracting? Specialization never hurts. Nor does a good partnership with a company that you trust – that can present you great opportunities that will build upon your experiences, and keep you employed and challenged. Want to discuss further? Give us a call.